The course of southern Africa's history was profoundly affected by the establishment of a permanent settlement at the Cape of Good Hope by the Dutch East India Company (Vereenigde Oostindische Compagnie or VOC) in 1652. The Dutch were not interested in colonization; they wished merely to establish a way station on the spice route to the East Indies. At the Cape the VOC’s ships could shelter and replenish their supplies. In the course of time a number of company employees were released from their contracts to establish farms that could produce grain, vegetables, fruit and meat for the VOC settlement. From this handful of farmers sprang the “white tribe”—the Boers or Afrikaners of South Africa. Besides the Dutch, the proto-Boer population was made up of some Germans, Scandinavians, and a few Huguenots fleeing from religious persecution in France. Gradually, the early Boers expanded into the southern African interior, establishing farms and villages as they advanced. At the Cape, where the VOC had begun to import slaves from Madagascar and Indonesia, many of the offspring of white and slave liaisons were also incorporated into the growing Boer population. The intermingling of the native population of the region, the Dutch and the imported slaves eventually produced South Africa’s Coloured population, as these people of mixed race are known today. The flags of the Netherlands had a great influence on those later used by the Boers. Though by 1660 the orange-white-blue Princevlag (Prince's Flag) was beginning to give way to the red-white-blue	Driekleur Vlag (Three-Color Flag), its memory influenced the design of the 1928 South African national flag. (Evidently, red replaced orange because the dyestuffs used to make Dutch flags in the late seventeenth century produced a color closer to red than orange.) Dutch maritime flags of the period were often made with the basic three-stripe pattern repeated, as in the example above (the tricolor pattern repeated twice, separated by a white stripe). Besides the plain Dutch tricolor, a variant with the monogram of the Dutch East Indies Company may also have been used at the Cape of Good Hope settlement. The small 'C" was for the Cape of Good Hope. The Voortrekker Boers established a number of settlements and republics in the years following their migration out of the Cape Colony. The first flag that can be characterized as the banner of a Boer republic is the Voortrekker Vlag, blue with a red saltire cross. Also known as the Potgieter Vlag after General A.H. Potgieter, a leader of the migration, it is known to have been used from the early 1830s to about 1840, and in a slightly modified form it was the flag of Potchefstroom (founded 1838), the town that later became the first capital of the Zuid-Afrikaansche Republiek (South African Republic, also known as the Transvaal Republic). The Dutch colors (red, white and blue) figured in most of these flags. From the late 1830s to the 1880s, a spate of Boer mini-republics sprang into being. Some, like Natalia, were annexed by Britain; others. like the Klein Vrystaat (Little Free State) were eventually incorporated into the Zuid-Afrikaansche Republiek. 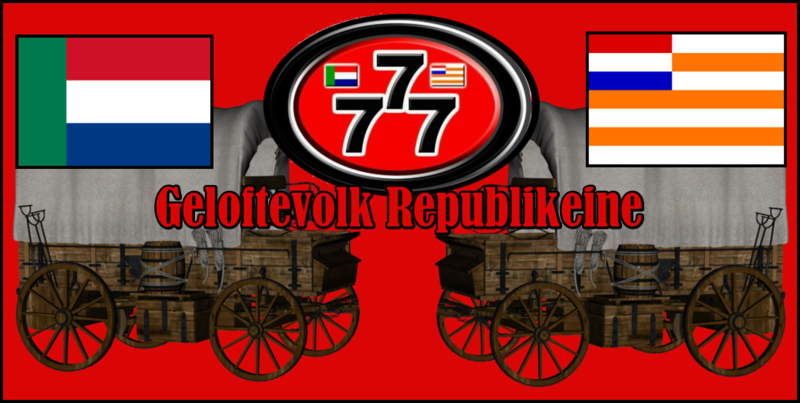 When the Zuid-Afrikaansche Republiek (South African Republic) was formed in 1852 it had no official national flag, though probably the Voortrekker Vlag and its variant, the flag of the town of Potchefstroom, were in common use. Finally, in 1858, the Volksraad (Parliament) passed a law establishing a national flag. Designed by Reverend Dirk van der Hoff, it combined the horizontal red, white and blue stripes of the Dutch flag with a vertical green stripe at the hoist, thus symbolizing the Republic's African locale and its fraternal ties to the Netherlands. This flag, called the Vierkleur ("four colors") remained in use (with one brief intermission) until 1902, when defeat in the Anglo-Boer War brought an end to the Republic. In 1874, on the initiative of President Burgers, the old flag of Potchefstroom was made the national flag. Burgers disliked the Vierkleur and felt that the Potchefstroom flag, which was based on the Voortrekker Vlag, was a more appropriate banner for a Boer republic. Few people shared his opinion, however, and the Volksraad restored the Vierkleur in 1875—reportedly while President Burgers was absent on a visit to Europe! Perhaps as a sop to Burgers, the Potchefstroom flag was made the presidential flag. But it remained unpopular and soon fell into disuse. Like the South African Republic, the Oranje Vrijstaat (Orange Free State, established in 1854) at first had no official national flag. To remedy this situation, the Free State government petitioned King William III of the Netherlands for a grant of arms and a flag. The King agreed to this request and in 1856 his envoy arrived in the Free State's capital, Bloemfontein, to make the official presentation. The flag consisted of seven horizontal stripes, white and orange, with the Dutch flag as a canton. 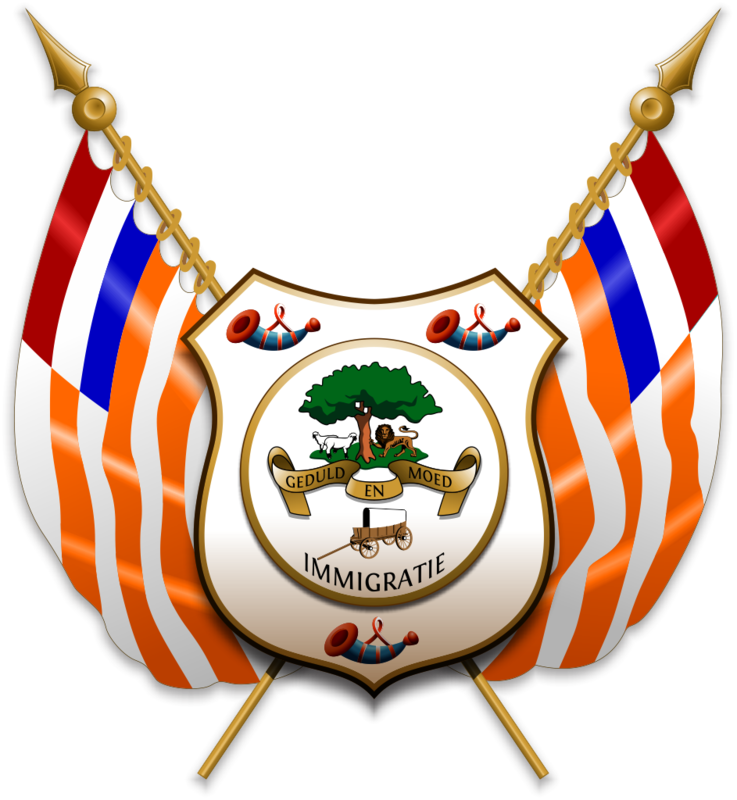 This design symbolized the Free State's name, its fraternal ties to the Netherlands, and the monarch of the House of Orange in whose name the flag was granted. It remained unchanged until 1902 when defeat in the Anglo-Boer War brought an end to the Free State. Though the Zuid-Afrikaansche Republiek and the Oranje Vrijstaat had not always enjoyed amicable relations, they made common cause against the British during the Anglo-Boer War (1898-1902). 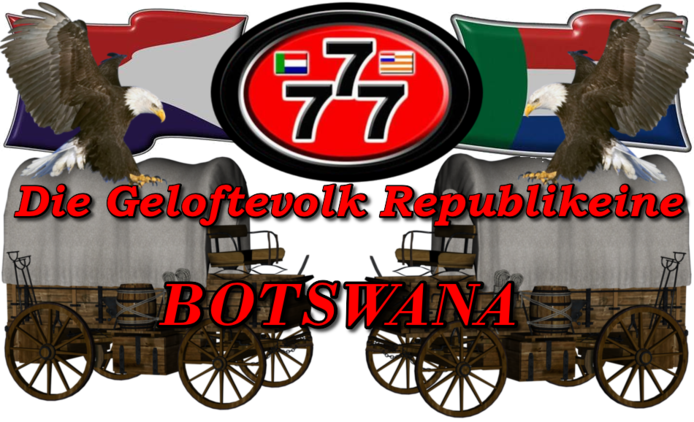 Their alliance was symbolically expressed by the various flags that were used by the Boer forces during the war. 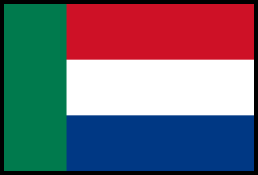 Most were variants of the Vierkleur Vlag with orange added, thus combining the colors of both Boer republics. When the various British colonies in southern Africa were united in 1910 to form the Union of South Africa, its official national flag was the Union Jack and the de facto national flag was the South African Red Ensign. 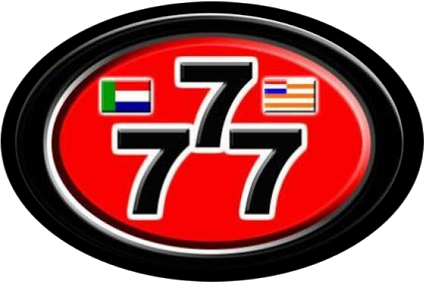 This situation did not suit the Boers and in 1928 South Africa adopted as its national flag a horizontal tricolor of orange, white and blue—a variant of the old Dutch Princevlag (Prince's Flag). On the white stripe was a badge combining the Union Jack and the flags of the former Boer republics. The design was in fact a compromise that did not entirely satisfy anyone. South Africans of British origin opposed the abandonment of the Union Jack, while the Boers wanted to expunge all reminders of the hated British connection. Though there were various proposals to replace it in later years the 1928 flag was not changed, even when South Africa became a republic in 1962. It was abolished in 1994 when the apartheid regime came to an end. With the end of the apartheid regime in 1994, the "white tribe" lost its dominant political and social position. This was reflected in the replacement of traditional national symbols, including flags and coats of arms, with new ones that did not recall the dark days of apartheid. The Boers, however, continue to display their traditional flags, particularly those of the former republics and variants thereof. 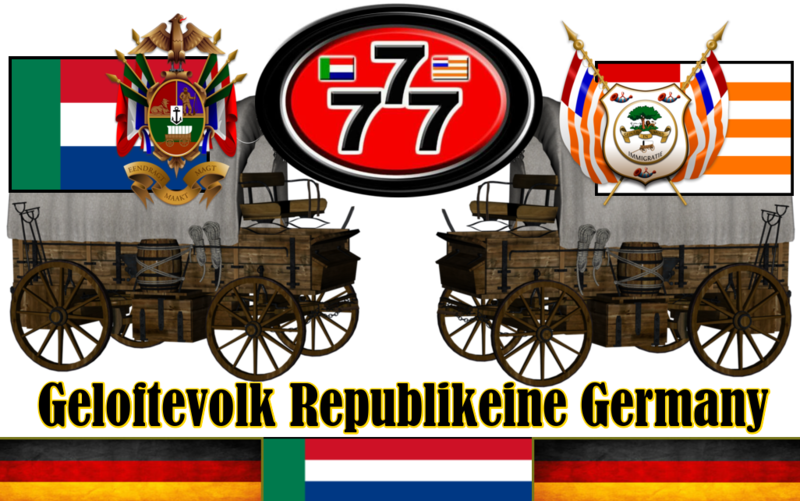 A typical example of a variant flag is that of the Afrikaner Volksfront (Afrikaner People's Front), which is similar to the Vierkleur but with orange in place of red. Other contemporary Boer flags are frankly fascist in inspiration, such as those of the Boere Weerstandsbeweging (Boer Resistance Movement) and the Afrikaner Studentebond (Afrikaner Student Federation). 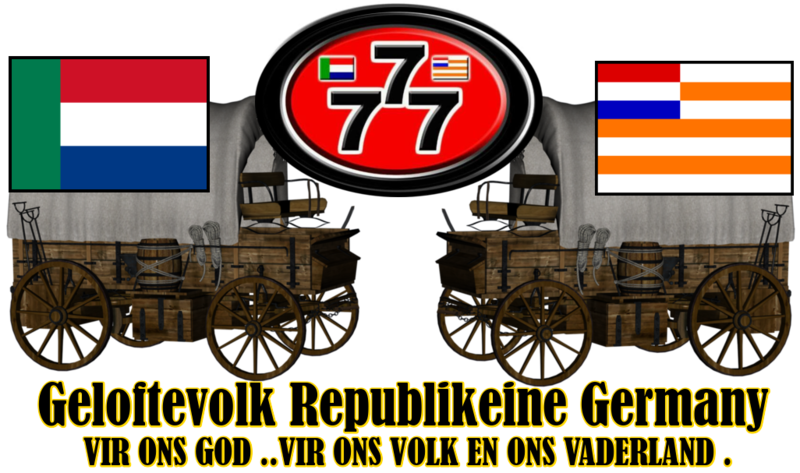 Many of these Afrikaner political organizations advocate the creation of a separate homeland for the Boers. Oranje-blanje-blou (Afrikaans for Orange, white and blue) refers, of course, to the old South African flag used between 1928 and 1994. This song was popular especially among Afrikaners when this flag flew over South Africa. The tune is by Henry Hugh Pierson (they don't say whether it was borrowed from this composer), and the lyrics are by an Afrikaans poet who wrote under the name Eitemal. The attribution for the text reads: "EITEMAL na: ,,O.D., hoch in Ehren''. 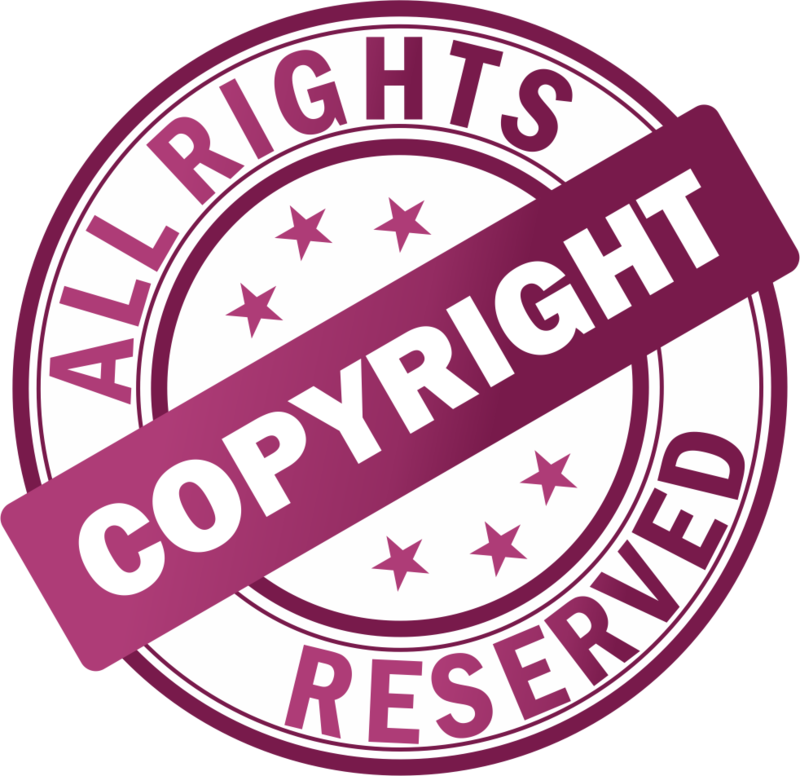 (There is a commonly used style of quotation marks, primarily German but often used in Afrikaans, that opens a quote with commas rather than the more familiar "inverted commas"). The title simply gives the colours of the 1928 South African flag, or, more strictly, the Dutch Princenvlag: orange, white and blue. (I am not certain of the derivation of "blanje", since it is not used in ordinary spoken Afrikaans, but I would guess that it is a form of the French "blanc", white). waai oor graf van meenge held. die vlugte van ons gees. om te handhaaf en te bou. Die toekoms wink daar voor. Translation (off the cuff - any improvements welcome). Note: the reference to Hoogland (translated here as highlands) is probably poetic licence for Highveld (Afrikaans Hoe"veld), a region which includes large parts of both the former Transvaal Province (Zuid- Afrikaansche Republiek) and the current Free State Province (the old Oranje Vrij Staat). blow over [the] grave of many a hero. the flights of our spirit. to maintain and to build. are building a new nation. (The word awendlug [evening air] seems to be an error; it seems more logical to say awendlig [evening light]; awend is a poetic form [harking back to Dutch] for the more usual Afrikaans "aand"). as long as we Boers remain. The future waves us on. (Source: The FAK [Federasie van Afrikaanse Kultuurvereninge] Sangbunde). Mike Oettle, 06 Feb 2004. Now our flag waves and flaps bravely! the Blue wants loyalty and honour. Our flag remains our bond of unity. The forms "sware" (where "swaar" would be the usual way of speaking), "ed'le" (for "edele") and "ere" (for "eer") are poetic forms, adaptations to the scansion. The same goes for the word "meen'ge" in Oranje-blanje-blou, which would normally be "menige". (Source: The FAK [ Federasie van Afrikaanse Kultuurvereninge] Sangbunde). War, the symbol of Flanders still finds a resonance with Afrikaner descendants of those Protestant Flemings who fled Spanish rule and went to live in the Seven Provinces. The words are credited to T H van Peene, and the tune to K Mirij, arrangement by Dirkie de Villiers (son of M L de Villiers, the composer of the music to Die Stem van Suid-Afrika, the former South African national anthem). een volk zal niet vergaan. die Vlaamse Leeuw is daar. as long as he has teeth. a people will not disappear. the Flemish Lion is there. I have written the word een as e'e'n - each 'e' carries an acute accent. This emphasises the word, giving the meaning "even if only one Fleming is left alive". The word verslindt means to destroy by eating - this verb is used literally only of animals (never humans) and, poetically, of things that destroy in like manner. I am not certain that I have the right word for "kluisters" - I don't have a dictionary at hand as I write this - and would be grateful if some Dutch correspondent would check that. "Geschreeuw" can mean either shouting or screaming, but shouting seems more appropriate. In the second verse, "de legerbenden sneven" - "leger" means army, but "armed companies" seems to fit better with "benden" or bands. "Sneven" (in Afrikaans "sneuwel") means to die in war or in battle (rather than dying of disease, another common way in which soldiers have traditionally lost their lives). I have rendered "een volk" as "a people", but "a nation" could also be appropriate. "Trekt te velde" means literally to go out into the fields, but its application to an enemy means that it is out on campaign (after all, campaign comes from a word meaning "fields", also). 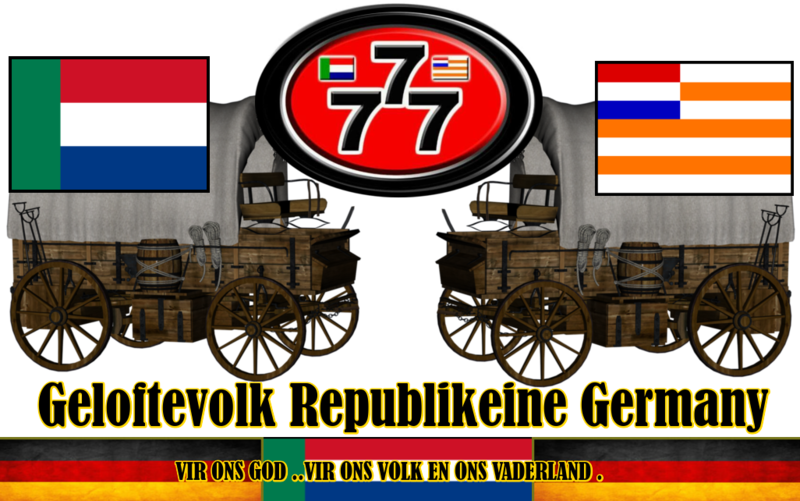 The Transvaalse Volkslied, although the official anthem of the Zuid-Afrikaansche Republiek and when the territory was officially called Transvaal (1879-81and 1901 onwards), it was not well thought of by the authorities. en toch zo lang geknecht? voor vryheid en voor recht. Dat vrije volk zijn wij! Dat vrije volk, dat vrije volk, dat vrije, vrije volk zijn wij! en kwistig stelt ten toon? Transvalers! laat ons feestlied schallen! Dat heerlik land, dat heerlik land, dat is, dat is ons vaderland! zij lof voor d'eigen Staat! Looft onze God! Looft onze God! Looft onze God voor land en Staat! and yet so long servants? for freedom and for justice. We are the free people! The free people, the free people, the free, free people are we! and profligately puts them on display? Transvalers! let our festival song resound! and praise for our own State! In the first verse, "wapp'ren" and "dapp'ren" are poetic forms that omit the middle vowel. The same goes for "wond'ren" in the second verse. "Geknecht" means "reduced to the state of servants" (not quite slaves). In the third verse the word Statenrij has no exact equivalent in English, although English occasionally uses the same construction of ending a word with -ry to form a noun from a shorter one, as in "heraldry". is die grond waar ons op bou. is the land we build on. Notes: The word "vader" translates as "father", and its usual plural is "vaders" ("fathers"). The plural form "vadere" (here poetically shortened to "vad're") means "ancestors". The word "lede" means "members", but is here an abbreviation of "ledemate" ("body parts" or "limbs"). "Ledemate" is used also of members of a church community, a reference to St Paul's description of the Church as being the Body of Christ, made up of people with different functions. The ordinary translation of "vaandel" is "ensign" (a naval ensign is a vlootvaandel), but in the poetic context, "banner" seems more appropriate. Here are the lyrics of Vaarwel aan die Vierkleur, as they appear in the FAK-Sangbundel (Fourth Edition 1979, sixth printing of 2002) published by Protea Boekhuis for the Federasie van Afrikaanse Kultuurvereniginge (FAK). sunk into an honourable grave. it dragged into the dust. and dedicated to the Past. as they went to their death. and Earth reels before its fall. Another flag song, this time abut the former South African flag called "Die Vlaglied" / "The Song of the Flag" which was composed by CJ Langenhoven, the composer of the former South African National Anthem "Die Stem van Suid-Afrika" / "The Call of South Africa". This song was sung by a Children's Choir at the dedication ceremony marking the establishment of the Republic of South Africa held at the Cape Show Grounds in Cape Town on 31 May 1961. "The Song of the Flag"
In their home by sacrifice glorified. The flag of the land that is all our own. "Wat beteken jou vlag dan, Suid-Afrika?" Die betekenis van 'n eie nasionale vlag word nêrens mooier en treffender besing as in die woorde van C.J. Langenhoven se Vlaglied nie. 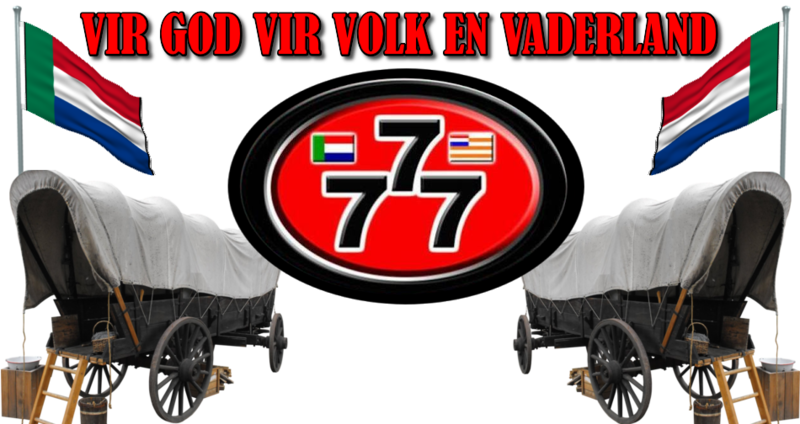 Die Vlaglied is slegs die laaste strofe van die gedig “Ons eie vlag”. Dit is deur F.J. Joubert getoonset. Wat beteken jou vlag dan, Suid-Afrika? flag). It was set to music by F.J. Joubert. What does you flag mean then, South Africa? The writ of our nation of the right to the land. military authorities at that time. A new edition of "Songs of the Veld" has just been published in Cape Town, with the addition of commentary and historical notes in both Afrikaans and English. The ISBN is 978-0-620-39432-1. Inscribed to Albert Cartwright – The African Bonivard. The patriot hearts are still. In the latest greatest stand. Where the eagle sees the sun. There were hands to sieze it still. Is not the soil for slaves. That fallen flag to raise. An Easter Morn for Thee. On the blood-bought Burghers' Land.